Deborah Falla received her PhD in Physiotherapy from The University of Queensland, Australia in 2003. In 2005 she was awarded Fellowships from the International Association for the Study of Pain and the National Health and Medical Research Council of Australia to undertake postdoctoral research at the Center for Sensory-Motor Interaction, Aalborg University, Denmark. From 2007 to 2010 she was an Associate Professor at the Faculty of Medicine, Department of Health Science and Technology, Aalborg University, Denmark and from 2012 to 2016 she was a Professor at the Center for Anesthesiology, Emergency and Intensive Care Medicine and Institute for Neurorehabilitation Systems, University Hospital Göttingen, Germany. Since April 2016, Professor Falla is Chair in Rehabilitation Science and Physiotherapy at the School of Sport, Exercise and Rehabilitation Sciences, University of Birmingham, UK. Professor Falla is also the Director of the Centre of Precision Rehabilitation for Spinal Pain (CPR Spine) which was established at the University of Birmingham in 2016 following a ~£1M investment. She is also a Senior PI for the NIHR Surgical Reconstruction and Microbiology Research Centre (SRMRC) (£6 million received for 2016 –2019). Her research utilises state of the art electrophysiological measures to evaluate the control of human movement and how it is affected or adapted in response to various states (e.g. injury, fatigue, training, pain). Her research interests also include optimising the management of musculoskeletal conditions with a particular interest in spinal pain. She has published over 145 papers in international, peer-reviewed journals, more than 100 conference papers/abstracts including 30 invited/keynote lectures. Moreover, Professor Falla has delivered over 100 invited post-graduate workshops on the management of spinal pain to health care practitioners in over 20 countries ensuring translation of her research to the benefit of the patient. 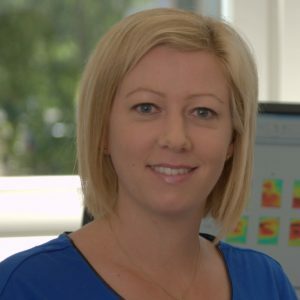 She has received several recognitions and awards for her work including the German Pain Research Prize in 2014, the George J. Davies – James A. Gould Excellence in Clinical Inquiry Award in 2009 and the Delsys Prize for Electromyography Innovation in 2004. Professor Falla is an author of the book entitled “Whiplash, Headache and Neck Pain: Research-Based Directions for Physical Therapies” and is co-editor of the 4th Edition of “Grieve’s Modern Musculoskeletal Physiotherapy”; a core textbook of evidence-based rehabilitation for musculoskeletal disorders which brings together the latest state-of-the-art research. Professor Falla acts as an Associate Editor for Musculoskeletal Science & Practice (formerly Manual Therapy) and the Journal of Electromyography and Kinesiology. Since 2016, she is President of the International Society of Electrophysiology and Kinesiology (ISEK).